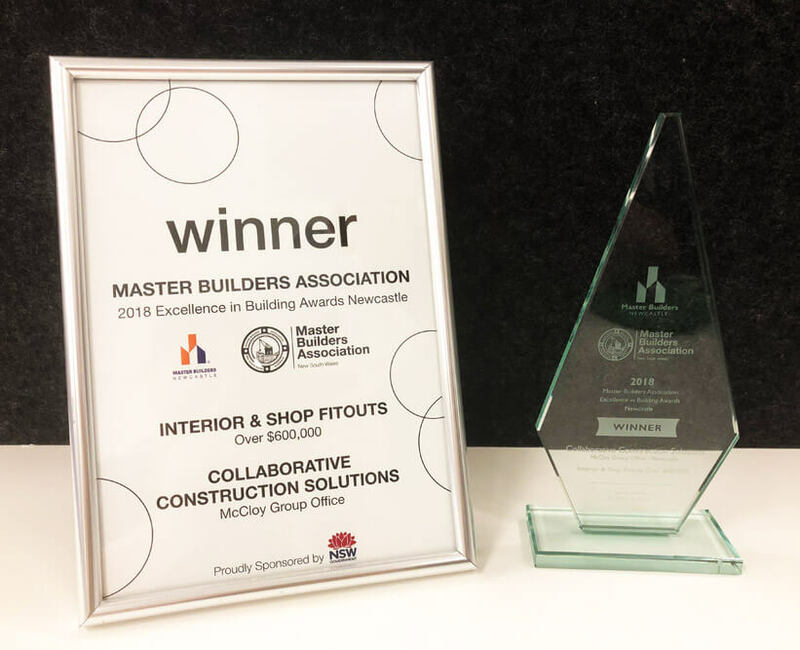 The Master Builders Association held their Excellence in Building Awards, to showcase local craftsmanship excellence and contribute to a vibrant building industry within Newcastle. We would like to thank the Collaborative Construction Solutions team for their efforts in undertaking the work on the McCloy Group office. Winners were announced at the Gala Awards Evening held in Newcastle at The NEX, Newcastle Exhibition Entertainment Centre on Friday 7 September 2018.